111618 - Senator Elder Vogel, Jr. 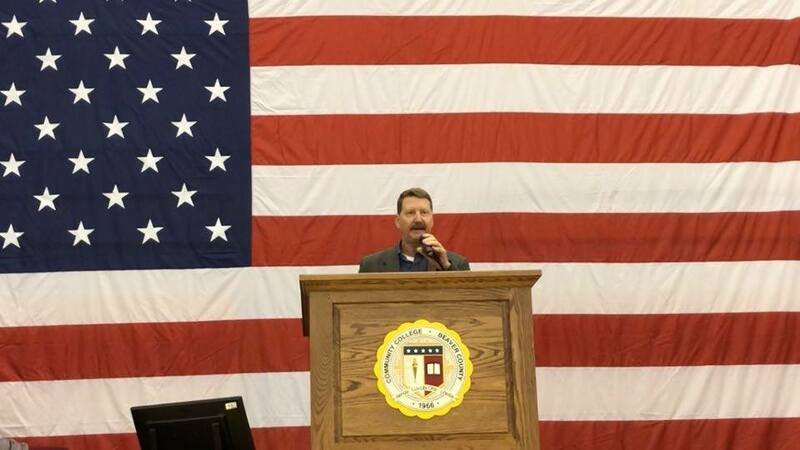 Thank you to Community College of Beaver County, WQED Pittsburgh, all of our volunteers and all who attended our annual Veteran’s Breakfast this year. We were treated to special guests this year thanks to WQED, who led an insightful panel discussion on veterans coming home and transitioning back into civilian life. PA Senate Bill 1092 is now law, increasing penalties for domestic violence when it is committed in front of children. It makes an occurrence of domestic violence in front of children a sentencing enhancement for the offenses of simple and aggravated assault, the two most commonly charged domestic violence offenses. One in 10 children are exposed to domestic violence, and the majority are under age six. Such children are more likely to be abused or become abusers as adults. There is a devastating impact on children who witness domestic violence. The short-term consequences include increased anxiety, depression, low self-esteem, aggression, difficulty concentrating, social isolation, and lack of empathy. The long-term consequences are similarly troubling. For more information on Senate Bill 1092, please click here. Pennsylvania’s Low-Income Home Energy Assistance (LIHEAP) grant program is now open for the 2018-19 heating season. LIHEAP helps families living on low incomes pay their heating bills in the form of a cash grant ranging from $200 to $1,000 based on household size, income, and fuel type. The grant is sent directly to the utility company/fuel provider to be credited on the family’s bill. Eligibility guidelines for LIHEAP are set at 150 percent of the federal poverty income guidelines. The chart below shows the LIHEAP income limits for 2018-19. Applications for LIHEAP grants are available online via the Commonwealth of Pennsylvania Access to Social Services (COMPASS) website at www.compass.state.pa.us. Applications are also available at county assistance offices, local utility companies and community service agencies, such as Area Agencies on Aging or community action agencies. Applicants may also call 1-866-857-7095. Veterans’ service organizations and counties have until Nov. 30 to apply for state Veterans’ Trust Fund grants that will be competitively awarded for programs and services benefiting Pennsylvania veterans. Organizations could receive assistance for programs focusing on veteran homelessness, behavioral health initiatives and veterans’ courts. County applications should focus on initiatives addressing newly identified, unmet or emerging needs of veterans and their families. For more information on the grant application procedures or the program, please click here. A new state law aims to curtail vehicles illegally passing school buses in Pennsylvania. Act 159 allows school districts to place stop-arm cameras on school buses to record vehicles illegally passing school buses. The law also establishes a grant program, funded by a portion of fines collected from violations, to help defray the cost for school districts to install stop-arm cameras. Current law requires the school bus operator to report violations to the police within 48 hours if the school bus driver observes a violation. The information that the school bus operator must provide includes information pertaining to the identity of the driver, license number and color of the vehicle involved in the violation, time and location of the violation, identification of the vehicle type and other relevant information. If the report by the school bus operator to the police establishes a sufficient basis for the issuance of a summons, a summary traffic offense citation will be issued against the driver. Some school districts in Pennsylvania have already started using this technology. This legislation encourages more school districts to take advantage of this technology, which will increase the enforcement of violations. For more information on Act 159, please click here to visit its webpage. On December 15, more than 8,000 volunteers will place wreaths upon veterans’ graves at PA’s Indiantown Gap National Cemetery as part of Wreaths Across America. The goal is to place a wreath on each of the 38,000 military graves, and more than 25,000 wreaths are needed to reach the goal. The group came up more than 7,000 wreaths short last year. To sponsor a wreath or get more involved, please click here to visit their webpage. 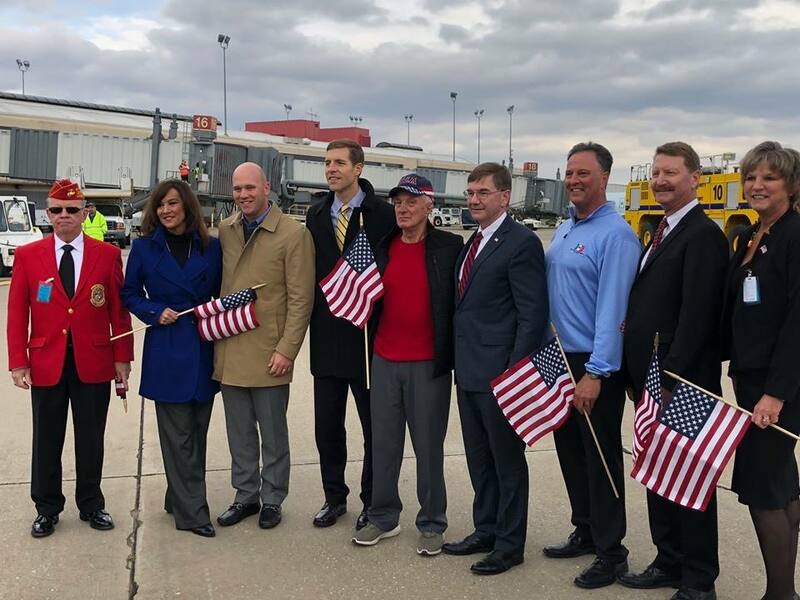 A very special thank you to Rich Kozak of Conway and his family for inviting us to join them in welcoming home the recently discovered remains of World War II Veteran Mr. Walter Mintus, US Navy, after 74 years MIA. Welcome home, Mr. Mintus. May you rest in peace. The Pennsylvania Department of Environmental Protection (DEP) recommends residents to inspect and assess home heating oil tanks before the upcoming heating season to avoid leaks or spills that can be prevented. Nearly one in five Pennsylvania households uses heating oil to stay warm in the winter. Owners of home heating oil tanks should inspect indoor and outdoor tanks for potential problems. Leaking heating oil tanks can contaminate drinking water and soils, diminish indoor air quality, create the potential for fires and explosions, and subject tank owners to very expensive cleanups, which may not be covered by homeowner insurance policies. With proper tank management, spills and leaks can be avoided. Tank owners who think their oil tank may have a problem should immediately contact their oil company for help. For more information on home heating oil tanks, visit the new Home Heating Oil web page on DEP’s website by clicking here. 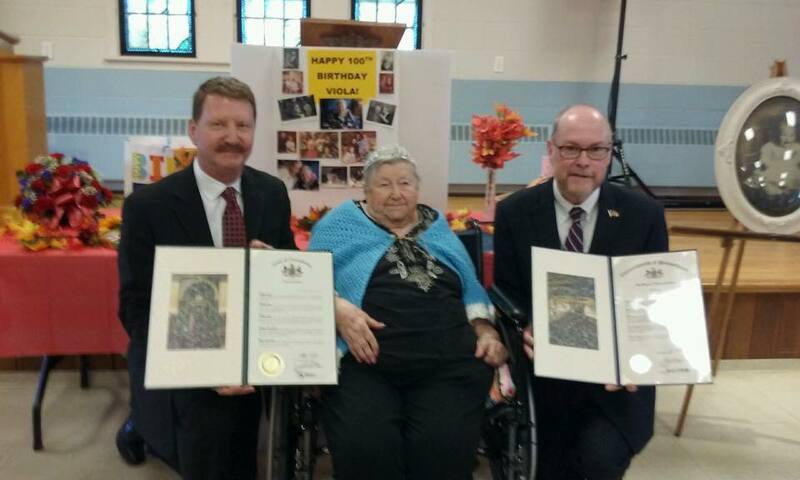 I had the pleasure of joining PA State Rep. Jim Marshall to celebrate Ms. Viola Blinn’s 100th birthday at St. John’s Burry’s Church. Thank you for inviting us. Happy birthday, Viola! To download the app or get more information, please click here to visit the webpage. Warmer than usual fall temperatures lend themselves to doing some weatherization around your home, according to the Pennsylvania Public Utility Commission. Replace old weather-stripping around windows and doors and seal air leaks with the appropriate caulking compound while temperatures permit. When temperatures drop, try some additional tips to save energy. Turn down the temperature on your water heater and only wash full loads in washers and dishwashers. Consider a few investments to further reduce home energy costs, including a thermal blanket for your hot water tank, installation of a programmable thermostat and replacement of old appliances with Energy Saving units. Along with routine maintenance of your furnace, following these tips will result in reduced energy bills.